Patterned after a 9th century helmet found in Norway, the Gjermundbu Spectacle Helmet is an impressive looking Viking-styled helmet. 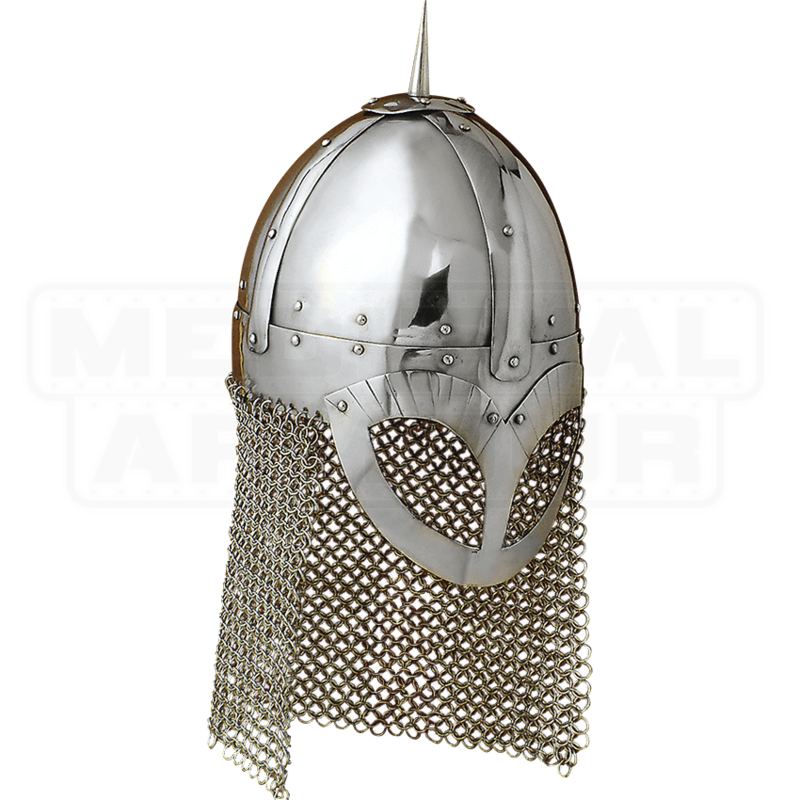 In many ways, it is a typical Norman helmet that has evolved and taken on a few of the Vikings intimidating traits. Like a typical Norman helmet, this helm features a convex crown with a subtle central ridge that was designed to help deflect blows down the sides of the helmet, rather than letting the helm absorb all the force on the crown. Strips of metal act as reinforcement along the top of the helm, while a long spike caps the top of the helmet. Instead of the traditional nose guard, his helmet features a spectacle guard, which extends down from the rim of the helmet and encircles the eyes. 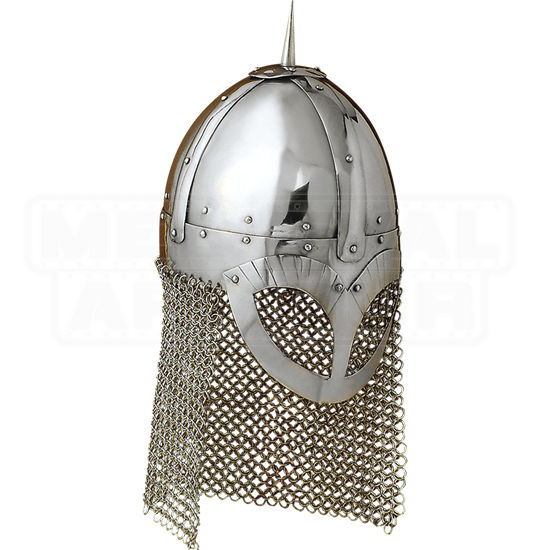 The helmet also features chainmail draping along the back and sides. The helmet is made from 14 gauge mild steel and features an adjustable leather liner, as well as leather chin straps for wearing. As if Vikings were not terrible or frightening enough as is, this Gjermundbu Spectacle Helmet is bound to take any Viking outfit and make it even more intimidating. And of course, such an intimidating helm would also make for an impressive display for any Viking enthusiasts out there, too.